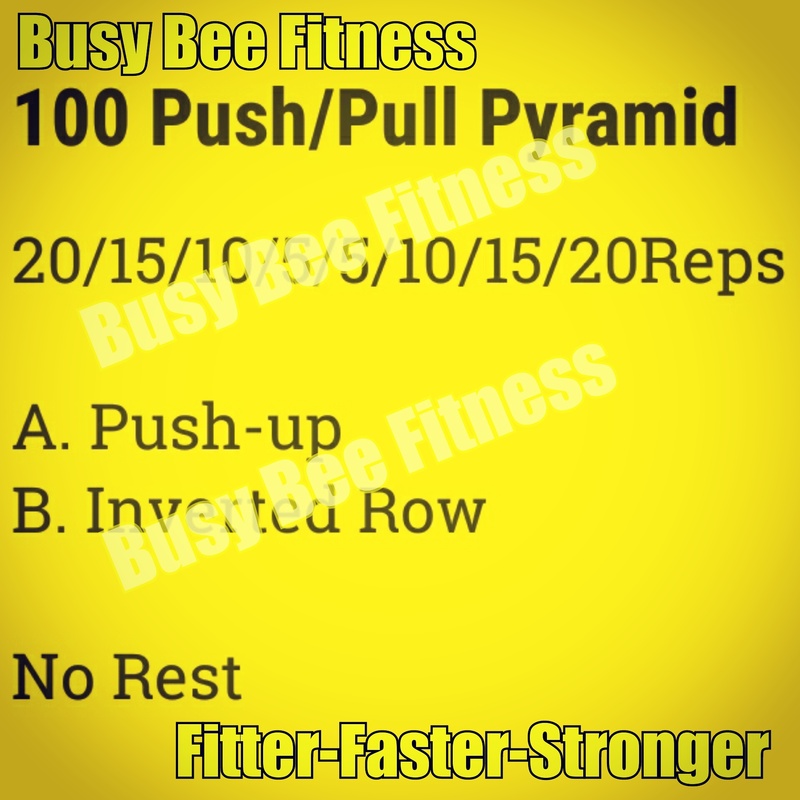 Do 20 Press-ups, 20 Inverted Rows, then 15 of each, 10 of each and 5 of each. Then Reverse it, so 5 of each, 10, 15 and finally 20. All totals 100 Reps of each. Time it and try to beat your time next time.